Saturday, November 15, 1913: My love of a sister and I went to Milton this morning on a shopping tour. I got the daintiest hat I’ve ever had for a while. It is black velvet, trimmed with old rose ribbon and pink velvet flowers. Wow. . . black velvet, rose ribbon, and pink velvet flowers. The hat sounds incredible. I wish we could see it. 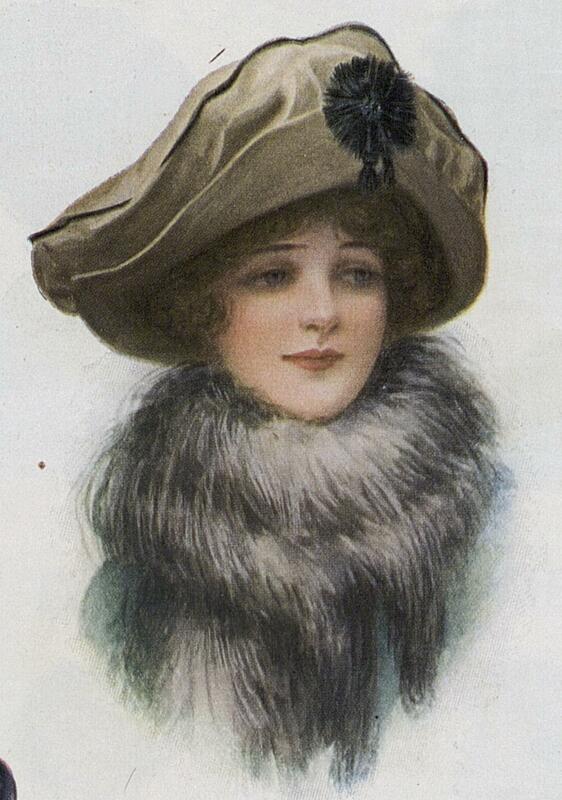 I couldn’t find any old pictures of black velvet hats, but I found several other lovely velvet hats. ‘My love of a sister’ is an unusual way for Grandma to refer to her sister Ruth. Did she mean it. . . or was she upset with her sister for some reason and being sarcastic? Posted on November 15, 2013 November 14, 2013 by SherylPosted in FashionTagged family history, genealogy. Next Next post: Was It More Likely to Rain on Sundays? She does sound happy in this diary entry. 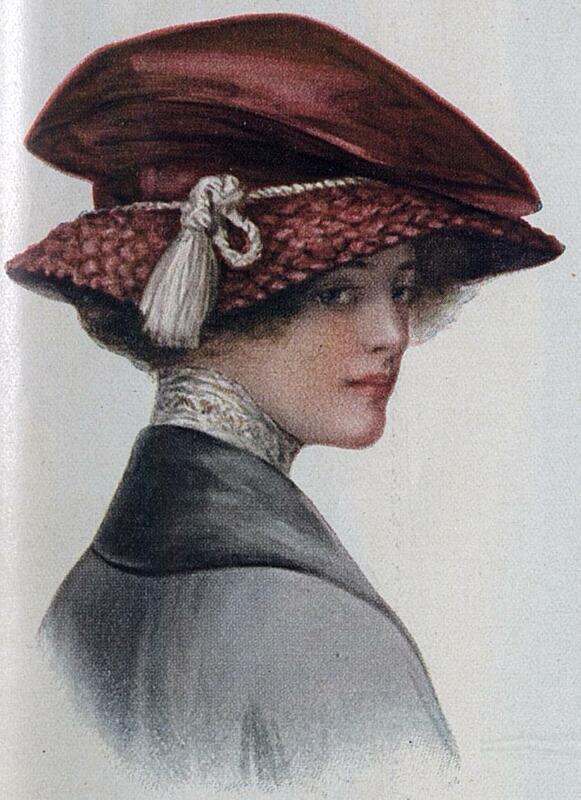 What beautiful hats and such a strong contrast to the contemporary minimalism of today! They sure had some lovely styles back then. Aw… I do wish we could see Grandma’s hat! It sounds beautiful. I think she loved her sister for going shopping with her. And her excitement over the hat is catchy. 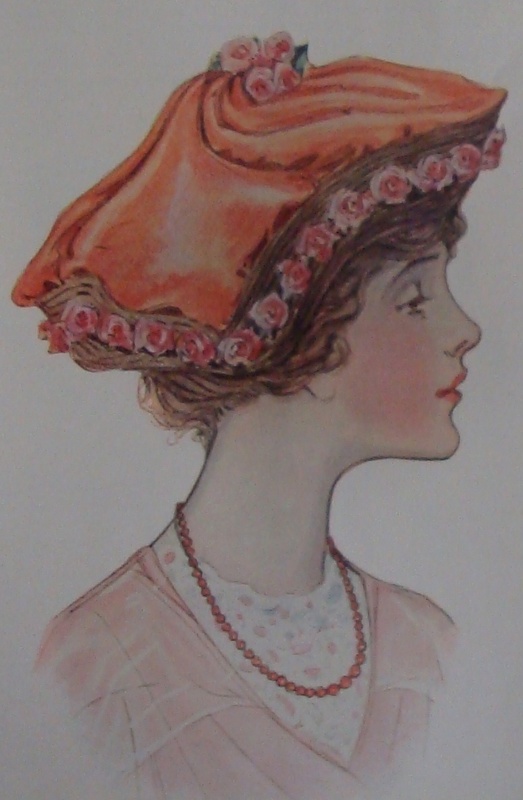 I wish we wore such beautiful hats today. Love the pictures you found. Arent’ they gorgeous? Yes, they sure are gorgeous! We need to go back to hats. There is a certain elegance in wearing them. 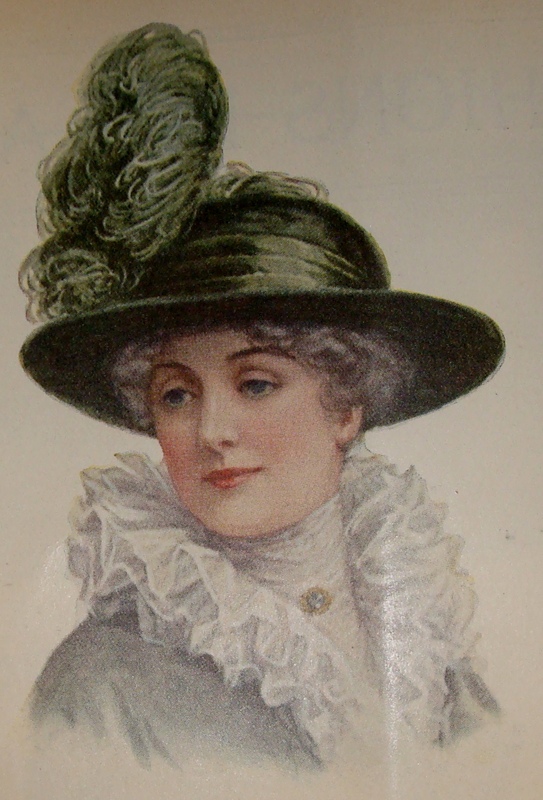 I also wish these fancy hats were back in fashion. Hat are so much fun! Maybe Ruth loaned her some money to buy the hat,or at least talked her into splurging a little on herself. I wonder who she imagined would be thinking she looked lovely wearing the hat? I like your suggestion. It makes sense to me. That last hat is a lot of fun! I’m voting with everyone else. I think she was happy with her sister because she was so pleased with the hat she bought. And fair enough, that hat sounds amazing! Thanks for sharing these lovely pictures of other hats around the time. 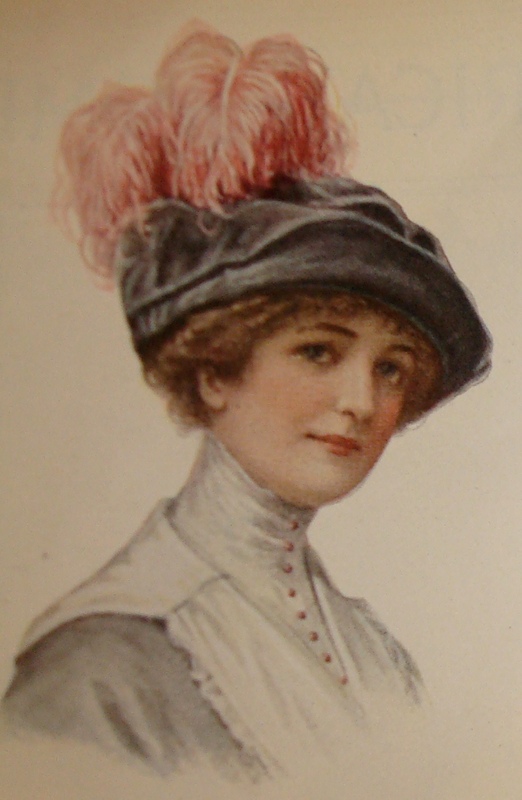 Her reference to her “dainty” hat makes one wonder what style it was. Grandmas hat sounded really pretty. I really fancy old hat or lapel flowers. You rarely see them any more.